Longtime AccuWeather Board Member brings more than 30 years' experience in finance and operations. AccuWeather Global Weather Center - November 21, 2018 - AccuWeather, the world's largest and fastest-growing weather media and business company, today announced that long-time Board Member Edward Arditte has joined its leadership team as Chief Financial Officer. 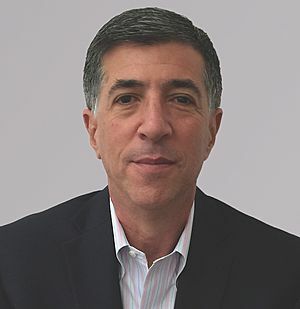 Arditte has decades of experience in finance and operations at large global companies including Fairway Market, Tyco International Ltd., and Textron, Inc. Arditte succeeds Steven Hickson, who departs the company to relocate full-time back to Atlanta from AccuWeather's corporate headquarters in State College, Pa. In his management role at AccuWeather, Arditte is responsible for directing all financial activities and is a member of the company's executive team overseeing AccuWeather's leadership and continued expansion as the largest source of weather forecasts and warnings globally. Arditte already has great familiarity with AccuWeather's internal structure and operations, having served as a Board Member since 2014, actively engaged in stewardship of compensation, auditing and other matters. "We are so pleased to welcome Ed to AccuWeather as the newest addition to my executive team," stated Dr. Joel N. Myers, Founder, President, and Chairman of AccuWeather. "As an active and engaged Board Member, Ed's leadership and guidance over the years have been greatly valued. We welcome this new opportunity to leverage Ed's vast financial expertise full-time as we continue to adapt to a rapidly changing social media and digital world and expand as a strong and profitable company." Said Arditte, "I'm delighted to be contributing to AccuWeather in this new capacity. Consistently, AccuWeather has distinguished itself as a company steeped in innovation and steady financial growth, while helping people and business make the best decisions when weather is a factor. I'm particularly excited about the chance to work even more closely with AccuWeather's talented leadership team to help the company maintain its competitive edge while delivering new and exciting products and services known for their Superior Accuracy and value." Prior to joining AccuWeather, Arditte was Co-president and Chief Financial Officer for Fairway Market, a New York-based company that operates 15 specialty stores in the greater New York area. Arditte played a critical role in the company's IPO in 2013. He was also Senior Vice President at Tyco, where he oversaw strategy, investor relations and communications. Arditte also spent 16 years at Textron, Inc. in a variety of roles, including Vice President and Treasurer, Chief Financial Officer of a major operating division, and Vice President of Investor Relations and Risk Management. He has also served as the Chief Financial Officer of BancBoston Capital, the private equity division of Fleet National Bank, which later became a part of Bank of America. Arditte earned a B.A. degree from the University of California at Riverside and an M.B.A. degree from Boston University. More than 1.5 billion people worldwide rely on AccuWeather to help them plan their lives, protect their businesses, and get more from their day. AccuWeather provides hourly and Minute by Minute™ forecasts with Superior Accuracy™ with customized content and engaging video presentations available on smartphones, tablets, free wired and mobile Internet sites, connected TVs, and Internet appliances, as well as via radio, television, and newspapers. Established in 1962 by Founder, President and Chairman Dr. Joel N. Myers-considered the "father of modern commercial meteorology," the nation's most respected source on the business of meteorology having been named "the most accurate man in weather" by The New York Times, and one of the top entrepreneurs in American history in Entrepreneur Magazine's Encyclopedia of Entrepreneurs-AccuWeather also delivers a wide range of highly customized enterprise solutions to media, business, government, and institutions, as well as news, weather content, and video for more than 180,000 third-party websites.